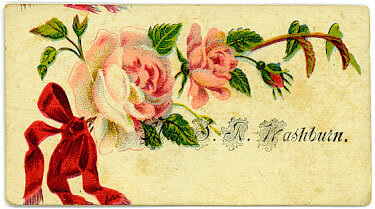 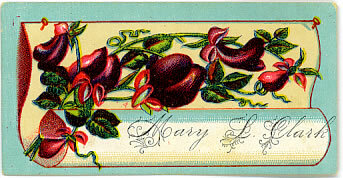 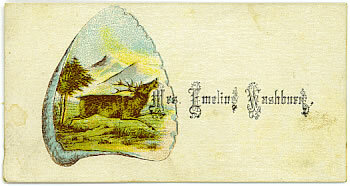 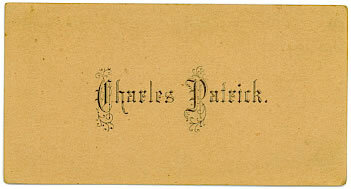 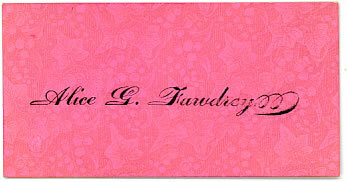 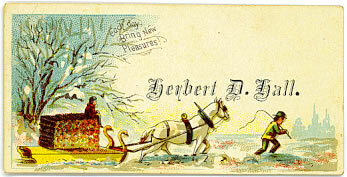 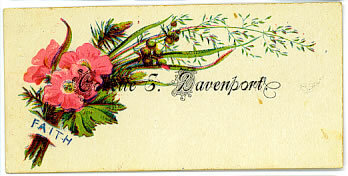 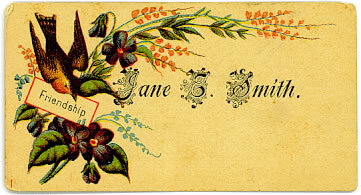 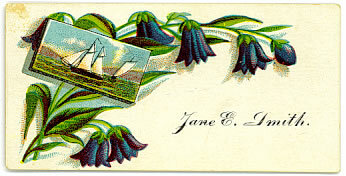 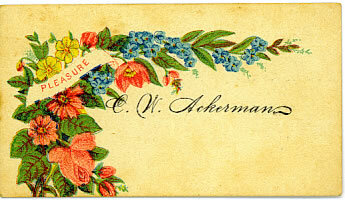 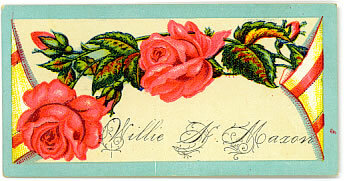 During the mid- to late-19th century, it was common etiquette to leave "calling cards" with friends and neighbors when visiting. 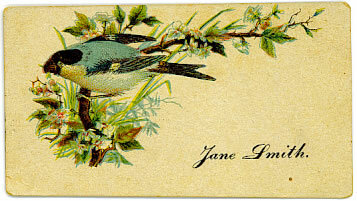 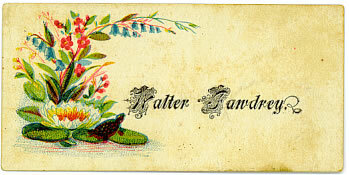 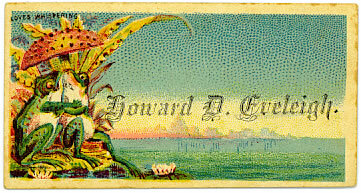 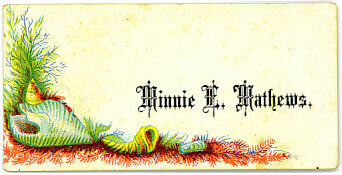 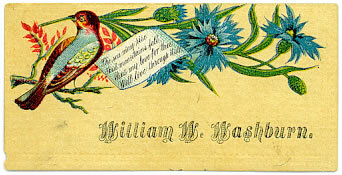 In addition to the name of the visitor, calling cards often displayed beautiful artwork in vivid colors. 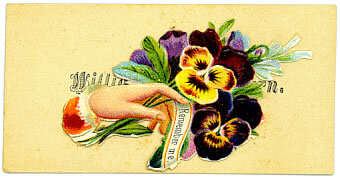 Today these cards tell us something about the personal tastes of the original card-bearers. 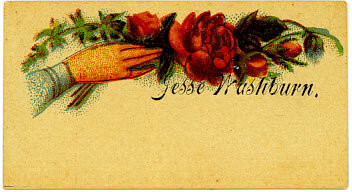 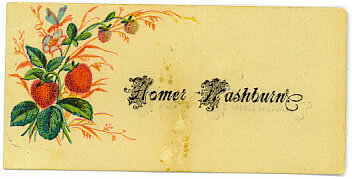 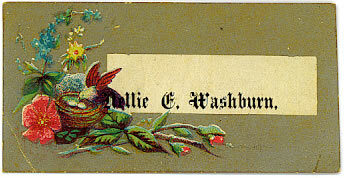 This webpage contains images of a collection of calling cards that were accumulated by the Washburn Family of Camps Mills, Town of Hounsfield, Jefferson County, New York, during the late 1800's. 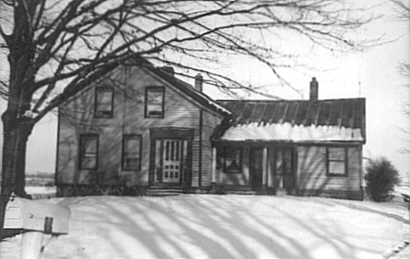 The Washburns settled in Hounsfield around 1822 and built a house there (still standing) which was continuously occupied by the family until the late 1970's. 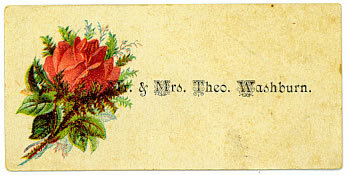 Most of the cards in this collection belonged to either residents of the home, or children and grandchildren who moved away and started families of their own; a few belong to neighbors of no relation. 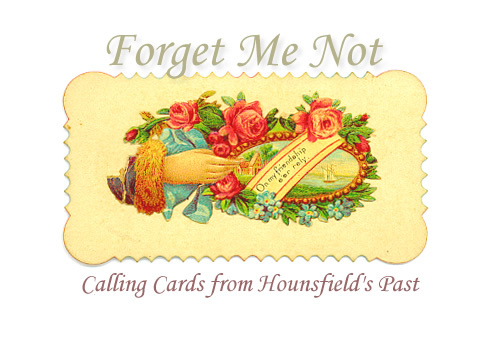 Maps from the time period show most of these people lived in close proximity to one another. 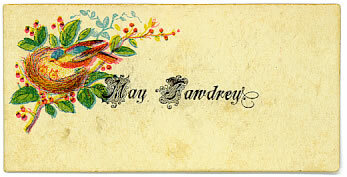 You are the 11970th visitor! 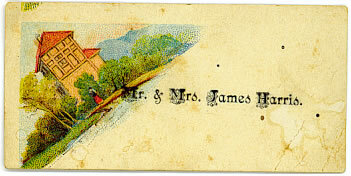 Probably Windsor C. Angel and his wife Julia Manley (b.c. 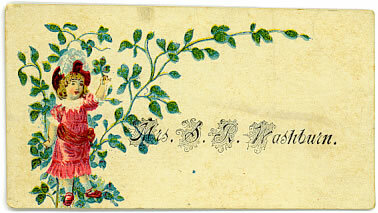 1853), daughter of Merrick A. Manley and Irene Washburn of Hounsfield. 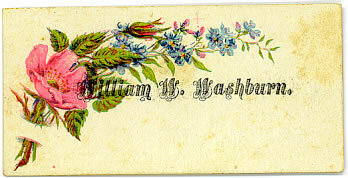 William and Julia lived on land at Point Peninsula, Town of Lyme, given to them by her grandfather, Dyer Washburn. 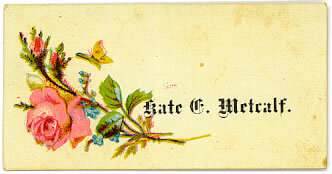 She was a schoolteacher. 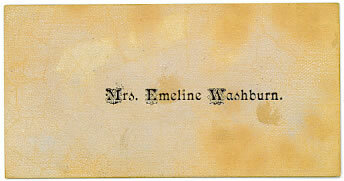 Lydia Washburn, daughter of Robert Washburn & Emeline Manley, and wife of Randall Dingman. 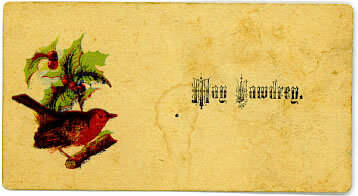 Howard Eveleigh, probably the son by the same name born about 1868 to Thomas & Mary Eveleigh. 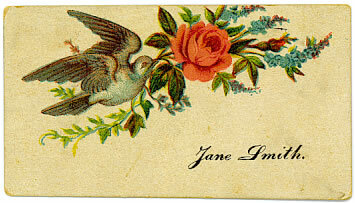 James Harris and Annie Valitta Washburn. 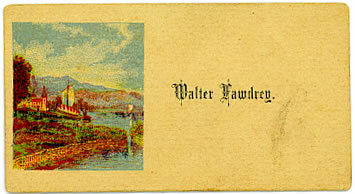 They lived on Point Peninsula, Town of Lyme, on land given to them by her father Dyer Washburn. 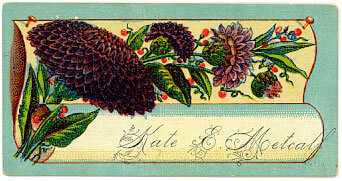 Alma Knight, born about 1860, daughter of Edwin Knight of Hounsfield. 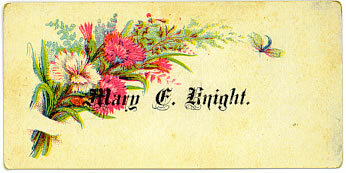 Mary Knight, probably daughter of Edwin Knight. 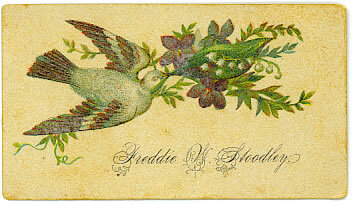 Sarah Ann Stoodley, born 27 December 1836, died 2 December 1928, daughter of William Stoodley and Elizabeth Lane, emigrants from England to Hounsfield. 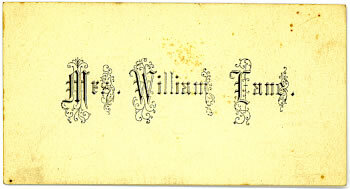 Her husband William Lane, born 25 September 1828 in England, died 4 May 1903, was her first cousin. 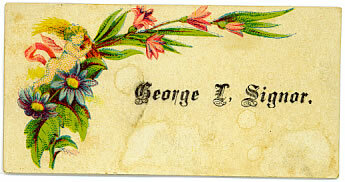 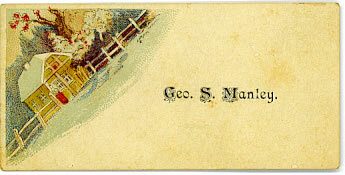 George S. Manley, born about 1848, son of Merrick A. Manley and Irene Washburn. 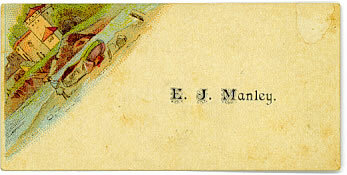 Probably Jerry Manley, son of George Manley. 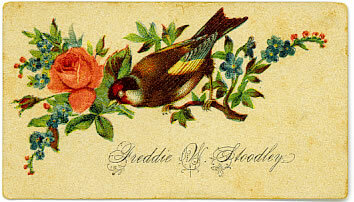 Fred Stoodley, born about 1879, son of Charles A. Stoodley and Ida G. Reed, of Sulpher Springs, Hounsfield. 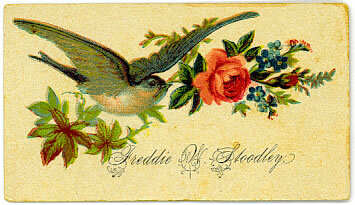 They lived next door to Charles' parents, William Stoodley and Elizabeth Lane. 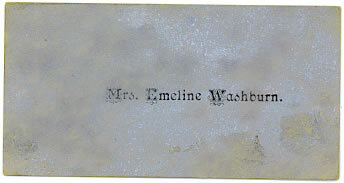 Emeline Manley, born about 1810, daughter of Asa Manley, a War of 1812 veteran who participated in the first battle at Sackets Harbor. 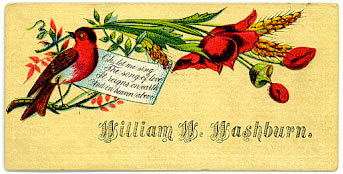 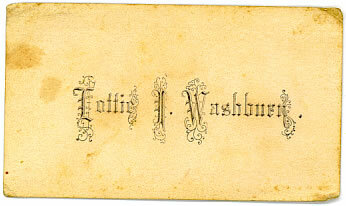 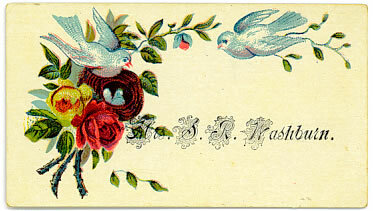 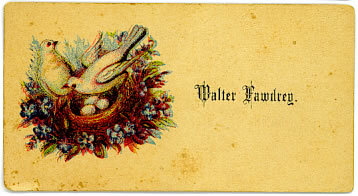 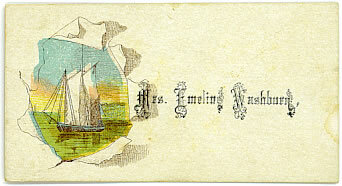 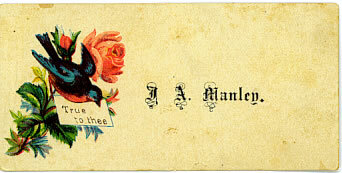 Her husband was Robert Washburn, who built the house in which these calling cards were kept. 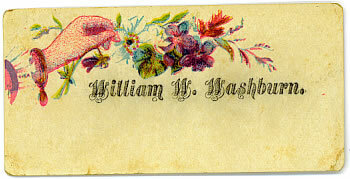 George Washburn, probably son born about 1843 by that name to Robert Washburn and Emeline Manley. 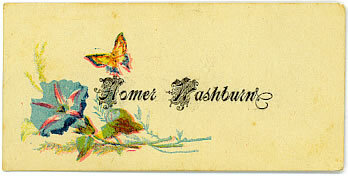 Homer Washburn, born 1873, son of Silas R. Washburn (son of Robert & Emeline) and Esther Stoodley (dau. 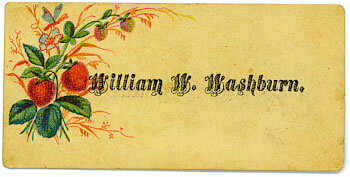 of Wm. 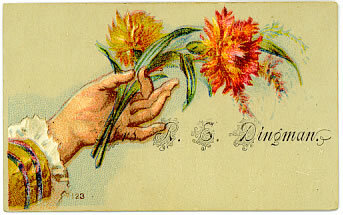 & Eliz.). 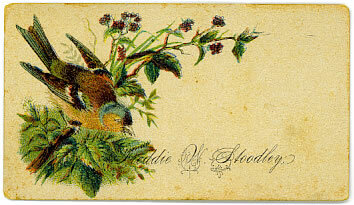 Esther Stoodley, born 1841 to English immigrants William Stoodley and Elizabeth Lane of Sulpher Springs. 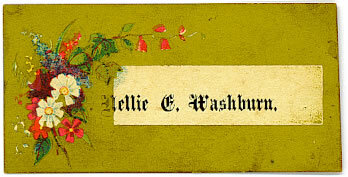 She married Silas R. Washburn, son of Robert Washburn and Emeline Manley, and was mother to Homer Washburn and William Wallace Washburn. 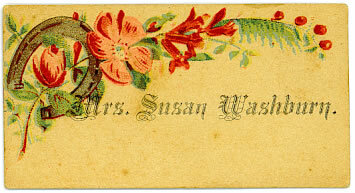 Susan Eveleigh, born 1843, second wife of Schuyler Washburn, born 1823, son of Dyer Washburn and Annie Bass. 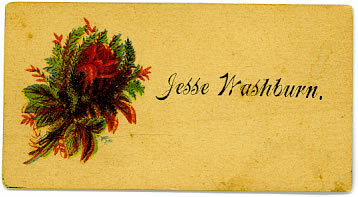 Theodore Washburn, born 1845, son of Robert Washburn and Emeline Manley; and Jeanette Rice, born 18148, daughter of Gen. Albert Rice of Adams. 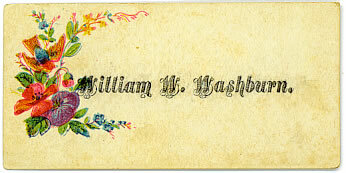 William Wallace Washburn, born 1867 on the Washburn farm, son of Silas R. Washburn and Esther Stoodley. 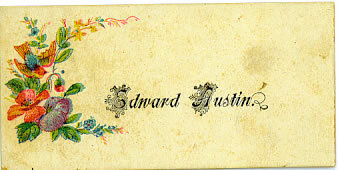 He married Ada Mae Stokes, whose father John's family was from the same English village as William's mother's family, Hawkchurch in Dorset (now Devon). 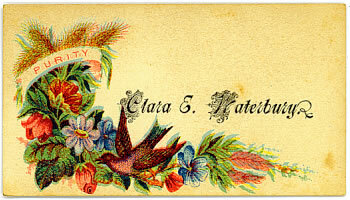 Clara Waterbury, probably the daughter by the same name born about 1868 to John & Huldah Waterbury, southerly neighbors of Robert & Emeline Washburn. 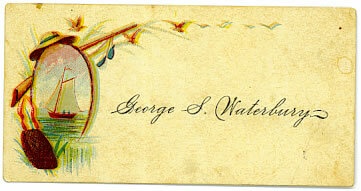 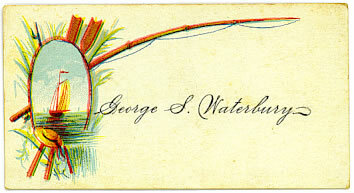 George Waterbury, probably the son by the same name born about 1862 to John & Huldah Waterbury, southerly neighbors of Robert & Emeline Washburn. 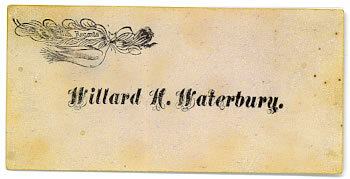 Willard Waterbury, probably the son by the same name born about 1864 to John & Huldah Waterbury, southerly neighbors of Robert & Emeline Washburn.